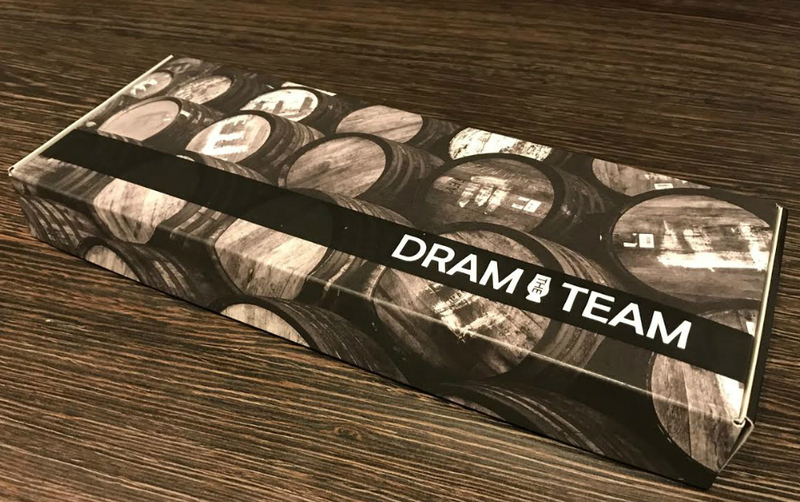 "I was super excited to get my hands on The Dram Team box. It arrived promptly, and I was delighted to see that it had fit through my letterbox without any problems. The packaging is well-designed, with photography of casks on the outside, and lovely illustrations on the inside, while carefully protecting the six drams without any unnecessary over-packaging. But let’s get on with the important stuff! What’s the whisky like? I chose the Premium Whisky Box variant, which is delivered monthly and contains six premium drams. This particular box included a fantastic selection of whiskies, including a 20-year-old Arran, Berry Bros 372 (10ml) which retails at £120 for a 70cl bottle! I’m not sure how else I could get the opportunity to taste such a great whisky, as I certainly couldn’t afford to buy a full bottle of this! Included in the box was a set of deluxe tasting note cards, with detailed information about the distillery and history of the whisky itself, as well as the nose, palate and the finish. The cards themselves were high quality, and it’s clear to see a great deal of time and thought has been put into their aesthetic. Each month, the Premium Whisky Box arrives with a different theme, and my first box was themed the ‘Scotch Spectacular’. Previously, The Dram Team have sent a Worldwide Whiskies box, containing whiskies from all around the globe, from Japan, Canada, India, New Zealand, America and Canada and an ‘Incredible Indies’ box, which included some unique whiskies from six independent distilleries. I can’t wait to see what arrives in my next box! I have to confess I’ve never really thought about whisky tasting by post before, and now I’ve tried it I simply can’t look back. There really isn’t a better way to discover a new favourite tipple! At first, I thought the price at £30 seemed like quite a lot, however, now I’ve subscribed I consider the price very reasonable considering the value of the whiskies that are included, along with the apparent time and effort put into curating each box. I love the excitement of wondering which new and rare whiskies I’ll be able to try next. It’s quite amazing to think that if I had of purchased all six whiskies in full-sized 70cl bottles, I could very easily have paid about £400-£500, which like most people, is simply unattainable and a common stumbling block for those like me who love whisky but can't afford to keep buying multiple full-sized bottles. Subscribing to The Dram Team enables me to try lots of new whiskies, and to decide on which I would like to treat myself to next time I’m looking to buy a full bottle! Overall, I thoroughly enjoyed this box and will undoubtedly continue my subscription. From the moment I received it, I enjoyed being able to try six high-quality, great tasting whiskies, that I probably wouldn’t have got the opportunity to try otherwise. If you’re a fan of whisky and would like the opportunity to taste the best the world has to offer, The Dram Team subscription box will be right up your street. It would also make a fantastic gift for any friend; in fact, I’m now considering treating my Dad to this at Christmas, I think he’d love it! It brings an exciting element of surprise each month, and who wouldn't like to receive a regular box of premium whiskies through their letterbox!? Taste whisky from around the world and discover something extraordinary in every box. The perfect supplement for any self-confessed whisky-lover. Embark on a whisky taste journey today! Experience a selection of six premium and extraordinary whiskies every month.